This E-book will help you to understand what lead generation is and its importance in helping oragnizations grow. 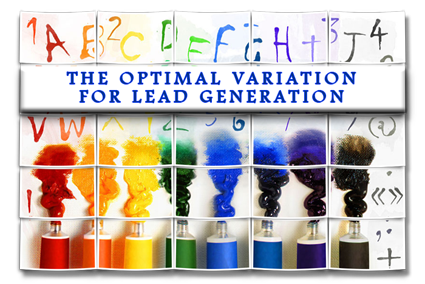 The e-book will detail the Multi-tactic approach to lead generation which is the basis for creating optimal variations for generating prospects and buyers. This e-book will also detail, based on current modalities, what marketers can do in order to create a solid lead generation program for their company. No registration required, click on the above link.